Lawn maintenance can make your turf strong, green, and healthy. To have a beautiful lawn, maintenance should always start at the soil. Generally speaking, there are certain lawn care tasks that should be done several times a year that improve the health of the soil. Just remember that your lawn has its own unique set of needs that are different from everyone else’s. Here are a few spring lawn maintenance tasks that improve the soil and the health of the turf. Aeration can be done in the fall or spring season. A lawn maintenance specialist can tell you when lawn aeration is best for your particular turf. Usually, aeration and over-seeding are done at the same time to take care of bare patches. Does your turf consist of warm-season grass, cool-season, or a mixture of grasses? The type will depend on when it’s best to aerate and over-seed. You may need to do it twice annually while other lawns need aeration just once a year. Spring is the time to add mulch to your flower beds and garden beds. Your plants will enjoy the extra water resources that the mulch holds in the soil and your garden will look well-kept. Mulch also insulates your plants and cuts back on your water bills. To have a healthy landscape and save as much water as possible, mulch a few times and year and consider using a drip irrigation system. Leaves, twigs, falling branches, bark, and other lawn debris need to be removed during spring lawn maintenance. Lawn debris harbors insects and spreads disease to healthy trees and plants. 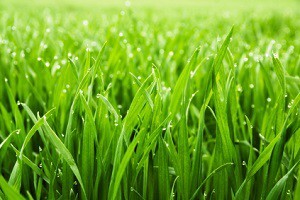 One thing to remember when checking off the spring lawn maintenance list is that every lawn is different. You may have bare patches, grub worms, and brown grass while the lawn next door is lush and green. The only real way to find out what type of maintenance your lawn needs is to get it diagnosed by a lawn care professional. They will be able to spot disease or insect problems that keep your lawn unhealthy. Plus, a lawn maintenance professional is always ready and willing to help with your spring chores. If you are looking for professional lawn maintenance in Racine, then please call 262-878-1660 or complete our online request form.